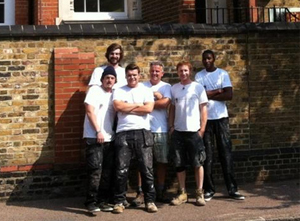 Since 2002 we have been restoring, repairing and decorating timber sash windows and doors. We use the best available technologies, materials and techniques to not only restore your tired and worn sashes back to their original glory, but also to improve their thermal efficiency and usability. Over the last 10 years we have been servicing, improving and reconditioning windows and doors, providing our customers with warm and comfortable living and working environments. From small domestic improvements to larger commercial renovations our goal remains the same, a quality service and reliable workmanship at competitive prices. Our qualified craftsmen have had years of experience with sash windows and take pride in their work. CR Carpentry has grown as a business almost exclusively on the strength of recommendations from past clients, a testament to our exceptional results and customer service. We have worked on a huge range of properties from Grade 1 and Grade 2 listed buildings, numerous London schools and commercial buildings, as well as hundreds of domestic properties. We pride ourselves on giving you the full sash restoration service. This means we will take your existing sashes and make any necessary repairs or modernisation (including draught proofing, supply and installation of Slimlite double glazing, installation of security features) and provide a full decoration service, all of this work is done at the same time to reduce the times that your property is disrupted to get the full job done. We will then return when the putty has cured armed only with paint brushes and ladders to apply the final exterior coats of paint. This can be achieved by our mixed team of carpenters and decorators who will perform both services simultaneously, unlike a lot of sash restoration businesses who will perform only the carpentry and glazing elements of the project, leaving your sashes unprotected from the elements, whilst you have to book your own decorators resulting in additional cost and disruption. From the initial survey, to cleaning up thoroughly when our work is done, the friendly and reliable CR Carpentry team will be there from start to finish until you are completely happy with the project. As sash restoration specialists we understand the importance of your property’s original features, and strive to restore your existing period windows, retaining their character while improving functionality. Problem areas are fully repaired using traditional carpentry methods and quality materials, giving your windows a new lease of life. We at CR Carpentry believe this is a much superior option to seeing 150 year old windows sent to landfill, only to be replaced with cheaply made quick-grown timber replacements that might only last 10 years. All of our team, and any subcontractors working for CR Carpentry, have full public liability insurance up to £2,000,000 damage and £10,000,000 legal, as well as full enhanced CRB checks. We strive to give an accurate timescale for your project, usually allowing a 2 day tolerance for start and completion times. Having worked on literally thousands of windows, we have seen everything. If there are repairs required to turn your sashes around, our team can do them. We guarantee all aspects of our work, giving you peace of mind that your sashes and doors will be draught proof and effortless to operate (please see the FAQ page for further details). From start to finish your property and possessions will be looked after. Dust sheets and protective floor covers are used in all working areas, and rooms are left clean and dust free upon completion. Where possible the dusty aspects of the job are done outside, reducing the noise and dust inside. At the end of the job all waste is removed leaving you to enjoy the warmth and comfort of your fully restored home. We offer an all year round service using gazebo and canopy cover to do the job in hand. So whatever the weather, CR Carpentry can get the job done.